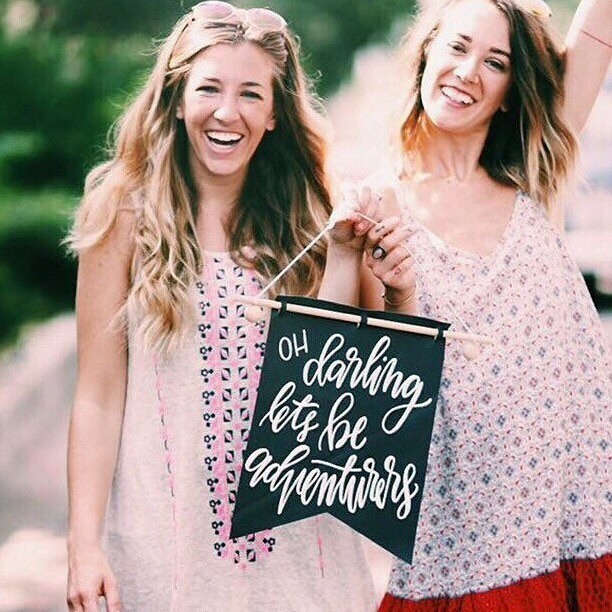 This one of a kind wall hanging is the perfect dorm decor! 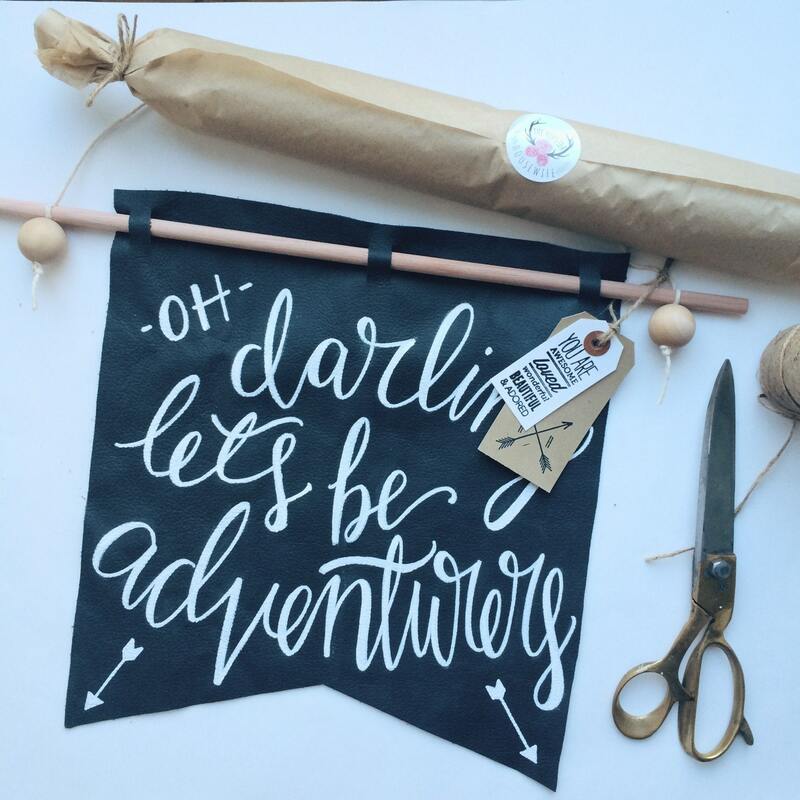 It was created from a repurposed leather swatch and hand painted with the words 'oh darling let's be adventurers'. In a rich navy top grain leather, this piece would make a fabulous gift for the college grad headed to their first dorm, or the couple who has that love for wanderlust. 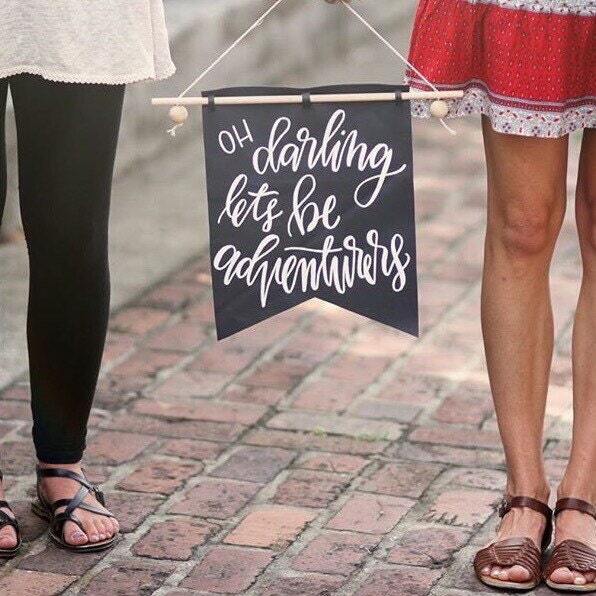 Truly the perfect Christmas gift for the person you go on adventures with! 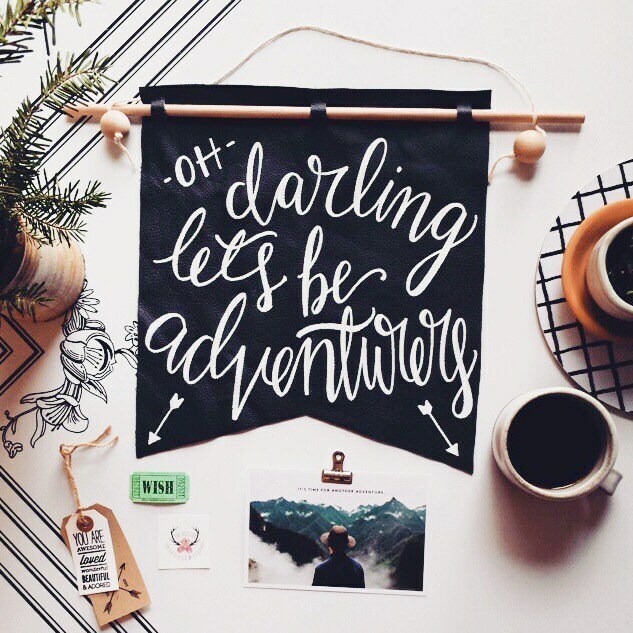 Live that life of adventure! It's hung on a 1/4in unfinished oak dowel with natural bakers twine and finished with natural wooden beads. Hand lettered with bright white acrylic in my signature funky calligraphy. Truly unique and one of a kind, you aren't going to find something like this any where else! The banner pictured has been sold, but yours will be nearly identical! As a completely handmade piece crafted from all natural materials, some variations are to be expected, but they only add to the charm of the piece. I promise!